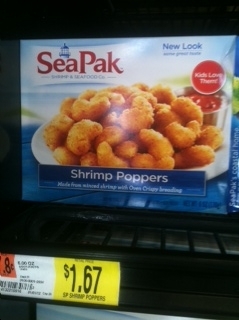 SeaPak Shrimp Poppers only $0.92 w/ Coupon! Hurry and print this coupon while you can to get cheap popcorn shrimp at Walmart! Thanks for photo, 2 Coupon Moms!